Joel Laviolette is a composer, educator, builder and connector based in Austin, Texas. His musical experience spans genres and crosses borders, weaving in elements from electronica to African marimba and mbira traditions. Joel’s rich musical past has shaped his present-day focus on fusing varying musical styles into his compositions. As the Founder and Artistic Director of the Rattletree School of Marimba in Austin, Joel and his wife Rakefet ran the brick-and-mortar school until 2018. At that time, Joel transitioned his teaching to be primarily online on Patreon so that he can give more focused attention to his international students. and modern-day electronica. Joel is the artistic director of Rattletree, a two-time Austin Music Award-winning world electronica group that combines Zimbabwean musical traditions with ethereal synth sounds in a truly unique live show experience. As the artistic visionary for Rattletree, Joel incorporates cutting-edge video projection mapping technologies to create a one-of- a-kind blend of audio and video media for live shows. His custom synth work combines the visual and the audio in an unparalleled sonic experience for audiences and music professionals alike. Joel has been featured on NPR and has lectured and performed at SXSW, the Austin City Limits Music Festival, PASIC and at numerous schools and universities worldwide. 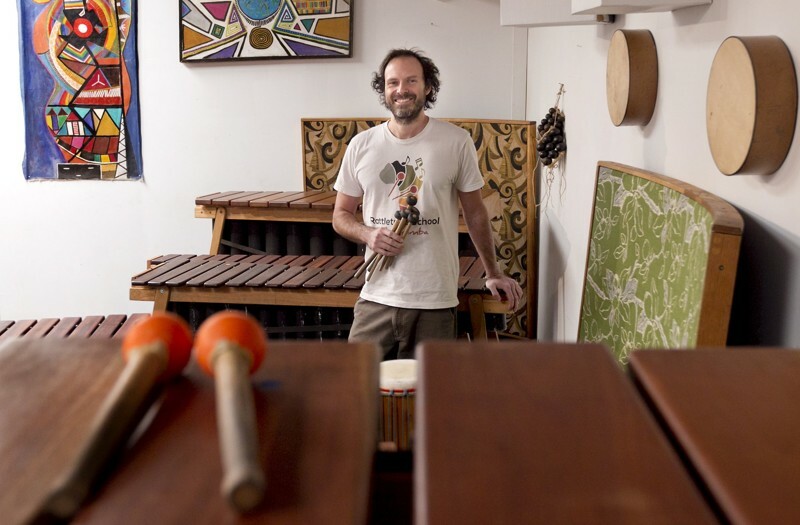 As a member of the Grammy Recording Academy, Joel has released and produced several albums and instructional videos and builds custom marimbas and modular synths for a wide range of groups and clientele. Joel’s innovative work has been celebrated and recognized in the Austin community and beyond and can be accessed via the online music catalog. As a longtime music industry professional, Joel’s greatest pride is the trust and satisfaction he sees in working with each of his clients. For inquiries on custom builds, sound design, sync and licensing work, please reach out to Joel via the contact form.